Northwestern Memorial Hospital is an academic medical center in the heart of downtown Chicago with physicians, surgeons and caregivers representing nearly every medical specialty. 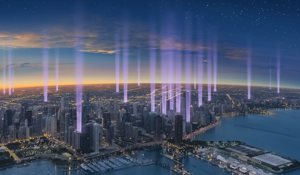 Northwestern Memorial enjoys a teaching and service partnership with Northwestern University Feinberg School of Medicine, an integration that provides patients access to leading-edge clinical trials and fosters an environment of world-class patient care, academic inquiry and innovative research. Northwestern Memorial has also earned Magnet® recognition*, the gold-standard for nursing excellence from the American Nurses Credentialing Center. In 2016, the American College of Healthcare Architects recognized Northwestern Memorial with the Legacy Project Award for forward-thinking design and enduring excellence in hospital design. Northwestern Memorial was one of the first hospitals to dedicate private rooms to all patients and continues to do so to this day. Private rooms are proven to not only improve patient outcomes and encourage a closer, more collaborative relationship with the care team, but also provide additional comfort and privacy for patients and their families during a stressful time. By design, patient rooms enjoy maximum natural light and city views and an integrated inpatient and outpatient system organized by specialty allows for greater efficiency for physicians to see their patients. The downtown medical campus includes Prentice Women’s Hospital, the Feinberg Pavilion, the Galter Pavilion, the Olson Pavilion, the Arkes Family Pavilion, Lavin Family Pavilion and a number of other facilities and physician offices. The campus is designed to be a health and wellness destination and a launch pad for community involvement. In addition to providing medical services, buildings on the campus are also home to restaurants, retail stores and pharmacies that have been handpicked based on community feedback to provide both healthy and local choices. The campus also provides spaces for educational seminars, wellness classes and other events dedicated to the health of the community. Seventh consecutive year on the prestigious Best Hospitals Honor Roll, ranked 13th in the country. 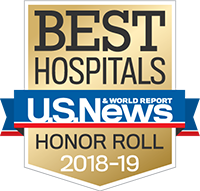 The Best Hospitals Honor Roll highlights the top 20 hospitals nationwide that deliver the highest quality of care across a range of specialties, procedures and conditions. 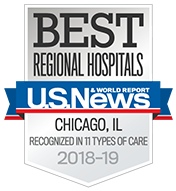 Northwestern Memorial Hospital is once again recognized as one of the top hospitals in the country, with 11 of its clinical specialties nationally ranked and three in the top 10. Visits from family and friends can bring patients the warmth, comfort, encouragement and support they need to heal. Northwestern Medicine encourages you to spend time with your loved ones and friends during their hospital stay. Northwestern Memorial Hospital offers several amenities, including flower and gift shops, online services, and food and beverage options, for your convenience. Download our Services and Amenities Map.